"We will remain vigilant for any unjustified trade restriction and will exercise our rights to ensure that the Mexican automotive industry is not adversely affected," he said. Canada and the EU also said they are preparing counter-measures, which would add to retaliation already in place in response to US tariffs on steel and aluminium. 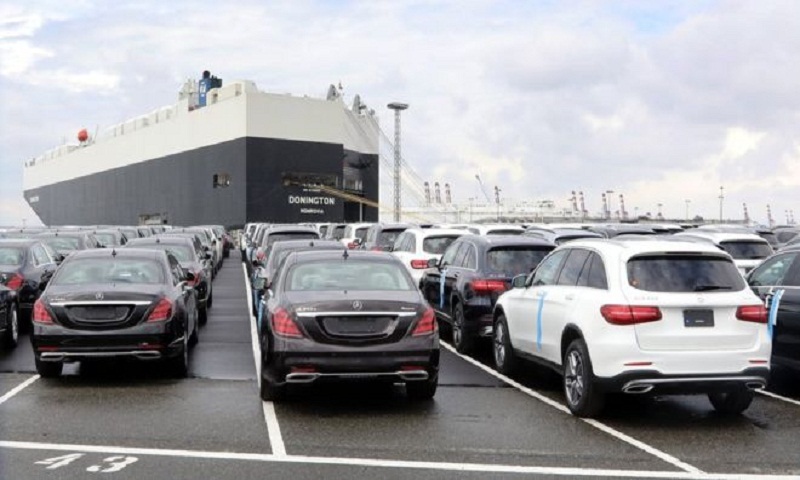 Foreign car companies like BMW and Toyota also represent some of the industry's biggest employers in the US, while more than $100bn worth in auto imports enter the country each year. Car firms say the tariffs, which could be as high as 25%, would cause the price of a car imported into the US to increase by an average of almost $6,000, and a US-made one to go up by about $2,000. They also say tariffs would lead to less investment in the US and job cuts. The Peterson Institute for International Economics has warned the tariffs, even without retaliation, could lead to the loss of 195,000 US jobs. Mr Trump has appeared resolute in the face of the criticism. On Wednesday, he again raised the idea of auto tariffs against the EU, threatening "tremendous retribution" if trade negotiations do not go his way. However, the proposed auto tariffs have drawn growing political opposition. Car workers held a rally in Washington DC opposing the hearing. And nearly 150 members of the House of Representatives, including members of both parties, sent a letter to the Commerce Department this week urging it to reject the plan for auto tariffs.